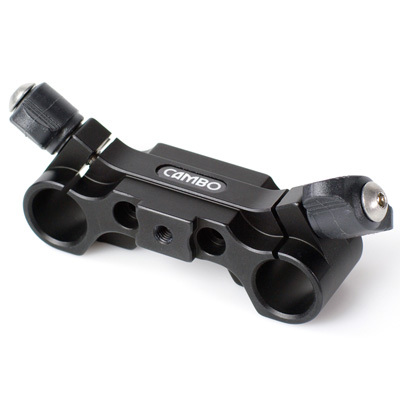 The CS-152 clamp is based on the 15mm lightweight cinema standard, the rods are 60mm apart and symmetrical to the optical axis. 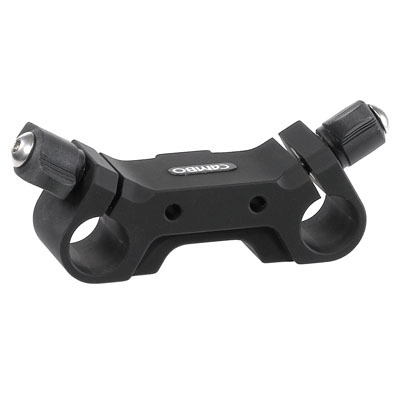 The CS-152 clamp is fabricated from precision milled high grade aluminum with a black anodized finish. The front-end of this clamp features a mount for the CS-M1 or CS-M2 units. This mounting-system allows the adjustment of the distance between the optical centre of the lens and the rods.